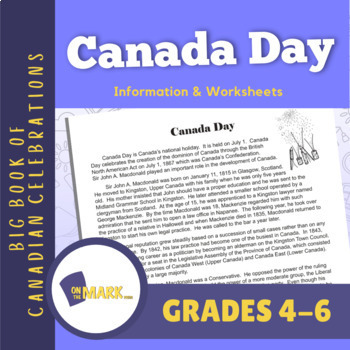 Canada Day celebrates Canada's Confederation which came through the British North America Act on July 1, 1867. Share the life story of Canada's first Prime Minister Sir John A. Macdonald who was one of the Fathers of Confederation. The follow-up focuses on locating information and the ability to express ideas.